Dean Collins was born in Columbus, Ohio on May 29th 1917. He grew up in Newark, New Jersey where, at the age of thirteen he learned Swing from his two older sisters. Within a few years he was dancing at every dance spot from Atlanta City to the “Savoy Ballroom” in Harlem, N.Y. By the age of eighteen (in 1935), he received the “Dancer of the Year Award” from the New Yorker Magazine. When Dean arrived in California the Savoy style of Swing was virtually unknown to Californians. The local dances of the day were the Camel Hop and Balboa, but their popularity quickly waned to Dean Collin’s style of the East Coast Jitterbug. His contest-winning style was frequently spotted at the “Casino Gardens” and the “Diana Ballroom” and was quickly known throughout Los Angeles. Dean’s first big break came in 1939 when he was asked to choreograph sequences in “Let’s Make Music”. He went on to choreographed dozens more and danced in over thirty Hollywood movies, including “Hellzapoppin'” (1941), “Dance Hall” (1941), “Playmates” (1941), “Buck Privates” (1941),”Ride Em’ Cowboy” (1942), “Springtime in the Rockies” (1942), “The Talk of the Town” (1942), “Always a Bridesmaid” (1943), “Kid Dynamite” (1943), “Junior Prom” (1945), “A Day at the Races”, and “Living It Up” (1954). 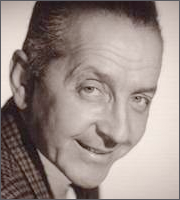 In the 1950s and 60’s, Dean taught most of the dancers and teachers in the Los Angeles area how to dance Swing, plus he taught many movie personalities as well (Shirley Temple, Ronald Colman, Ceaser Romero, Andrews Sisters, Joan Collins, Patty Andrews, Abbot and Costello, and Joan Crawford.) He also gave Arthur Murray lessons and taught other dance teachers such as Jonathan Bixby and Sylvia Sykes, who continue to share his teachings today.